Welcome to the show Andy Aubin,Therese Schweyer,William Baez from The Sub 30 Club. 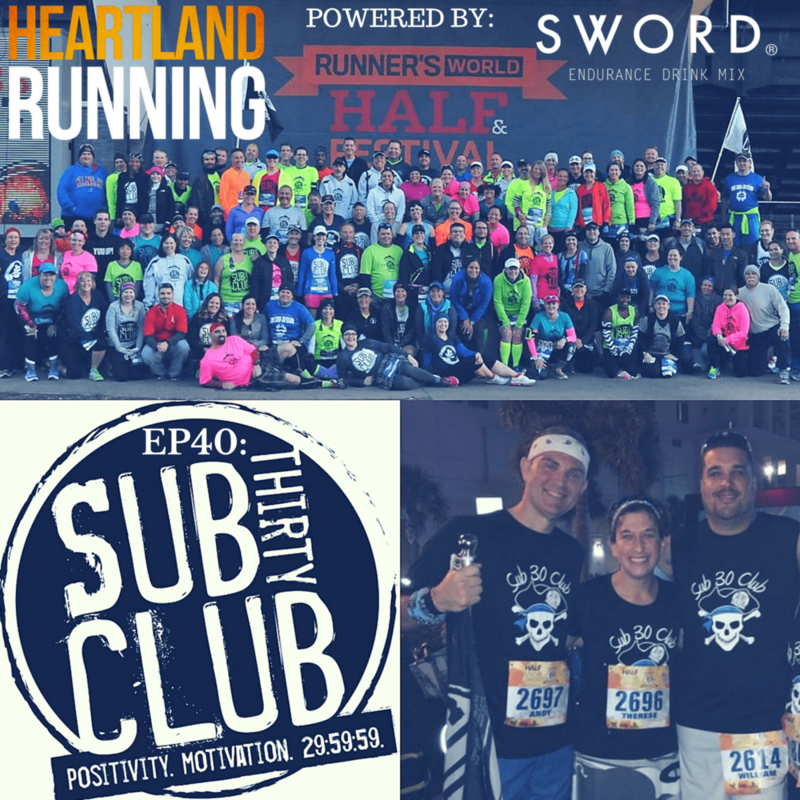 The Sub 30 Club was originally started in April of 2012 when Ted Spiker, contributor to Runner’s World and the man behind The Big Guy Blog on runnersworld.com, set out on a quest to break 30 min in a 5K. This represented a “challenging but doable” goal for him at the time, being a middle- to back- of–the-pack runner. He put the word out through his blog to see if anybody else might want to join him in his efforts. He was expecting five or six people…a dozen at best. Within the first day he had over 100 responses. As of Today, there are over 5,700 members and the focus of the club has shifted from the specific goal of a 29:59 5K to the spirit that started the club, embracing runners of all levels chasing every goal imaginable. There are members who are brand new to running and those who are chasing goals in races of all distances. We have Boston qualifiers, ironman triathletes, and ultra-runners. The club truly welcomes all runners.